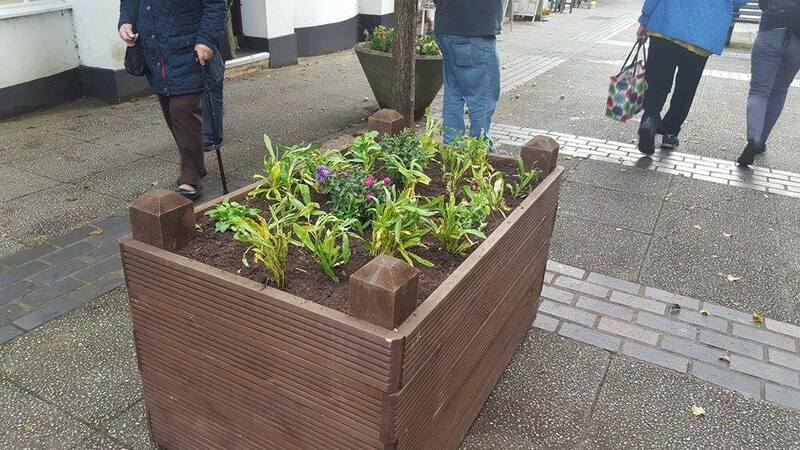 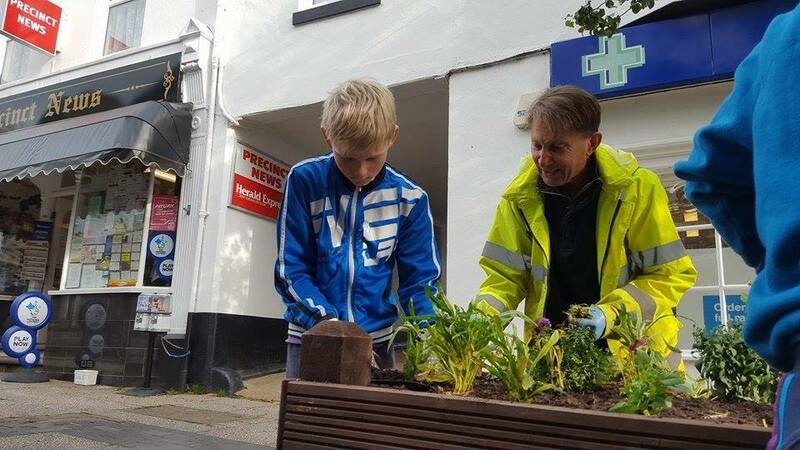 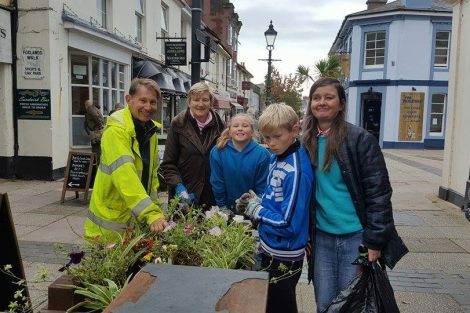 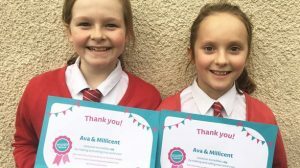 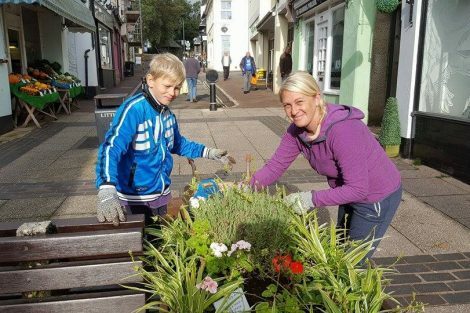 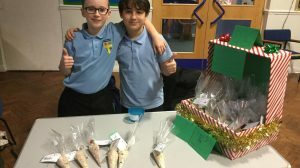 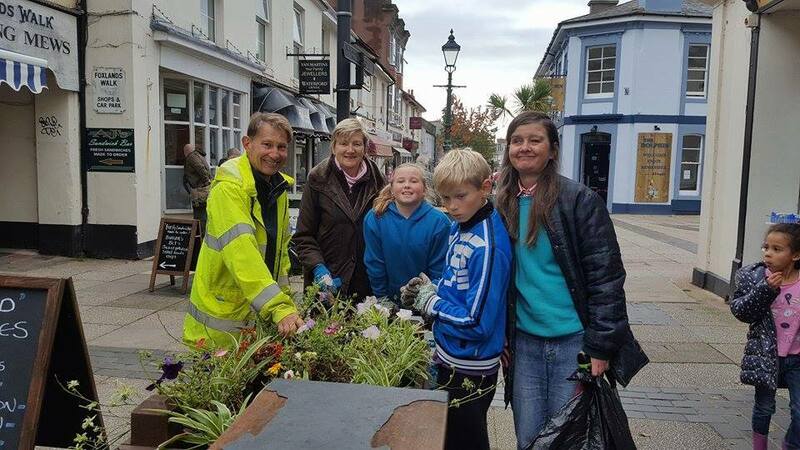 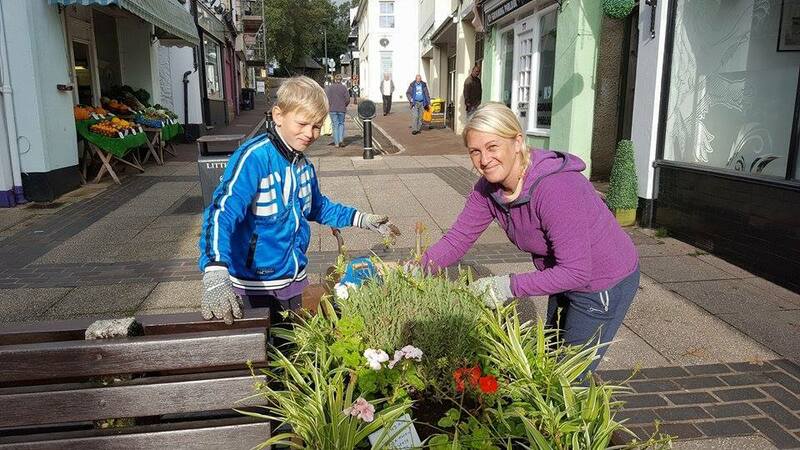 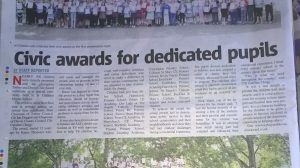 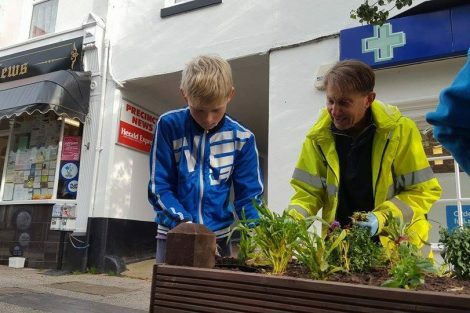 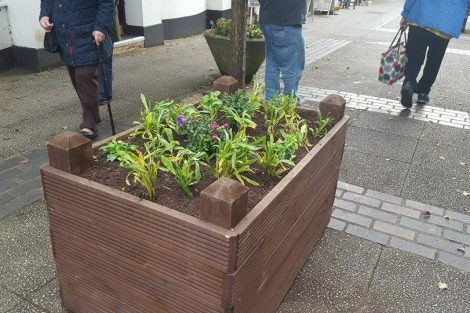 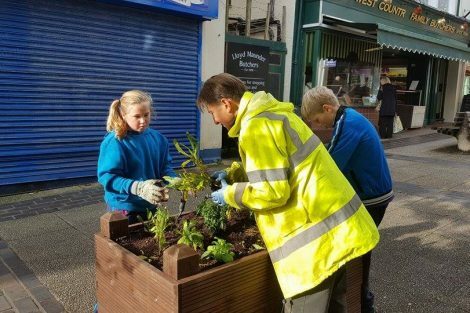 Two year six students “Ellen and Oscar” from St Marychurch Primary School gave a helping hand to Babbacombe Bloomers in St Marychurch precinct which forms part of their Torbay Civic Award achievement. 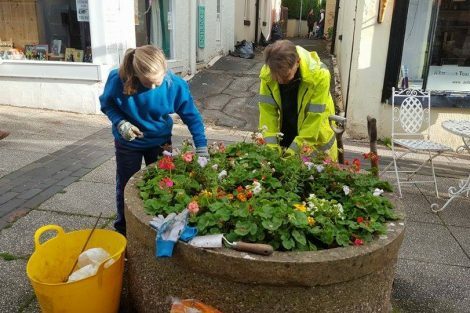 Under the guidance of Ian, Heather and Jennifer from Babbacombe Bloomers, Ellen and Oscar helped weeding, planting and deadheading. 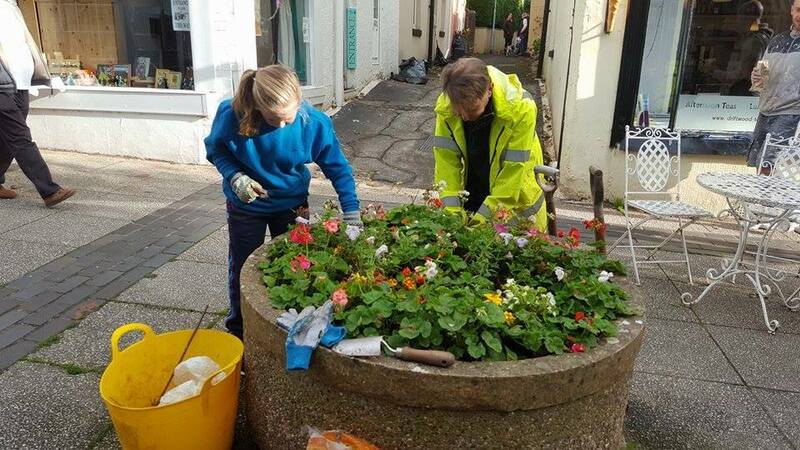 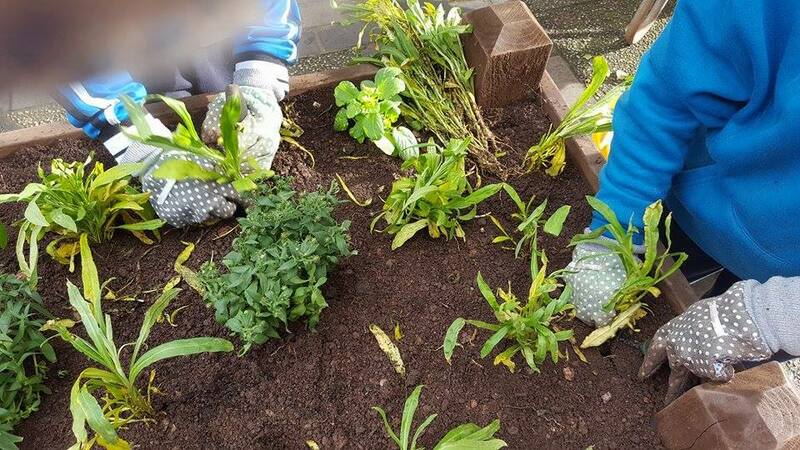 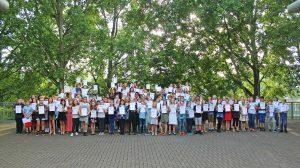 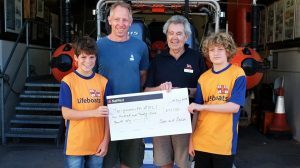 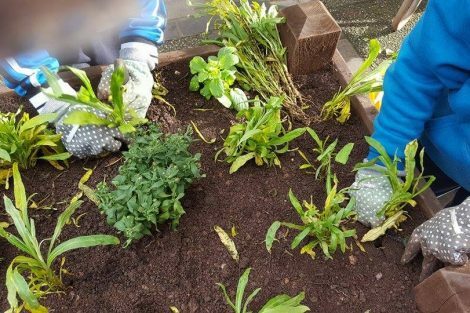 Babbacombe Bloomers volunteer Ian Cawley commented: “The children did really well, listening and making a very good job of the planting, weeding and deadheading. 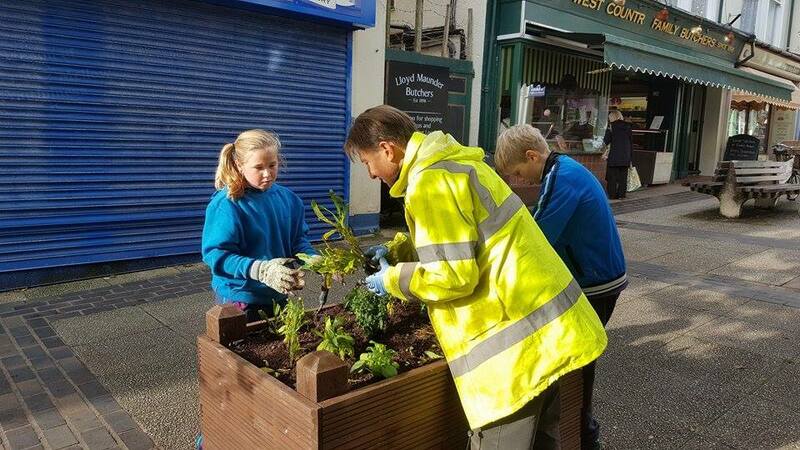 Also asking the Shopkeepers if they could spare some water for the tubs”. 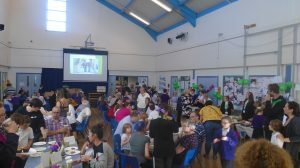 Get back to me if you need anymore info and thanks for your interest and support.